In general, insects have three body parts: the head, thorax, and abdomen. 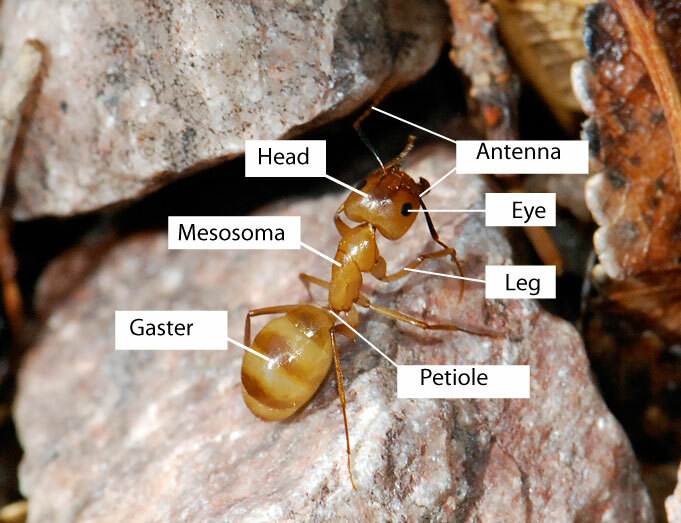 In ants, however, the main body parts are not as easy to tell apart. When adult ants are developing their lovely thin “waists” within the pupa, a bit of the true abdomen gets pressed up against the thorax, and the rest of the abdomen becomes the “waist” and the hind section. When ant biologists realized this problem, they thought, “Hum, we can’t really call that middle section a thorax, if it’s really a thorax and a bit of abdomen pushed together. And we can’t call the back section an abdomen if it’s only part of the abdomen… so we’ll call the middle part a mesosoma (in older literature an alitrunk) and the back part a gaster (or metasoma).” The thin part between the mesosoma and gaster is called the petiole. The head is still a head. 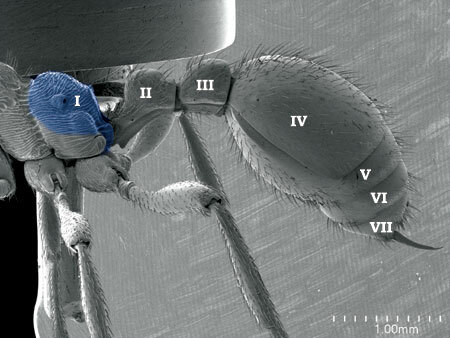 In some ant species, the “waist” is longer and consists of two segments, which are called the petiole and postpetiole. Roberto Keller has an excellent illustration of the segments that make up the true abdomen. 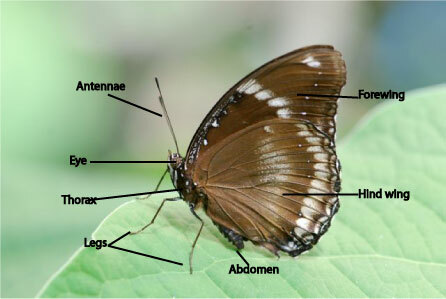 The bit of abdomen that joins with the thorax is labelled as I in this diagram. It is called the propodeum. The segments labelled II and III are the petiole and postpetiole. The rest form the gaster. 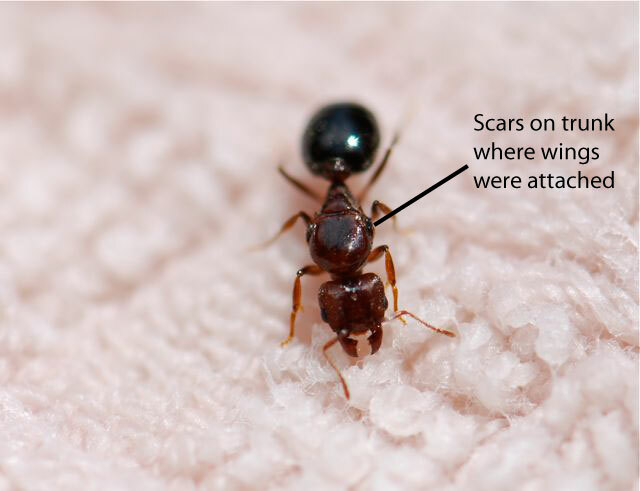 If the ant is a queen rather than a worker, you will see either the wings attached to the mesosoma (labelled as trunk), or wing scars where the wings were attached. Hopefully that helps answer your question. If you have anything to add, please leave a comment.